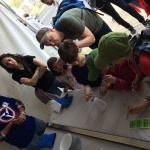 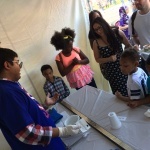 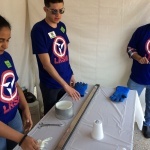 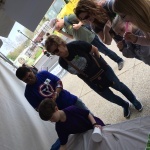 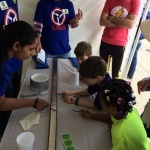 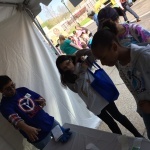 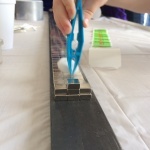 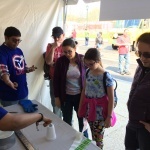 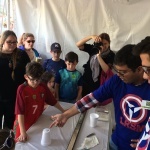 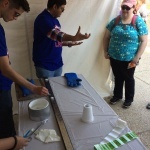 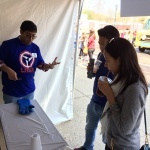 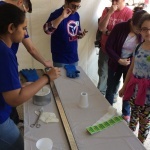 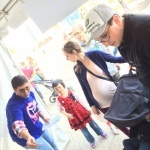 The Philadelphia Science Festival is organized and led by The Franklin Institute, in collaboration with 200 of the region’s premier science, cultural, and educational establishments. 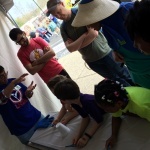 The Philadelphia Science Festival offers educational events for families and adults throughout the week. 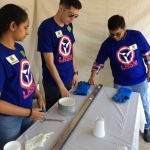 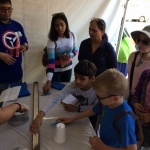 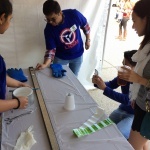 Our exhibit was the explanation of superconducting levitation, done by cool superconductors with liquid nitrogen and placing them over a magnetic rail. 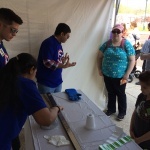 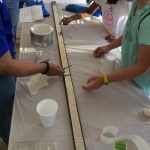 Many adults and parents were fascinated by the science and future applications of this phenomenon.